As well as the fast cars, intense action scenes and beautiful women, the James Bond movies are also famous for being filmed in some of the world’s most glamorous locations. From white sand beaches to dramatic cityscapes, the James Bond series has featured some iconic scenery. Here we reveal ten iconic destinations to visit by superyacht. 1. Vatnajökull National Park, Iceland In a pivotal scene of Die Another Day, Bond, played by Pierce Brosnan, speeds his Aston Martin over a glacial terrain in a thrilling car chase. The stunning Vatnajökull National Park in Iceland was used as a backdrop for these arctic racing scenes as well as hosting the structure of Graves’ Ice Palace, which melts and collapses as Bond escapes the icy region. The Vatnajökull National Park is considered the largest in Europe, stretching in its’ entirety over a distance of 13,600km – alone it makes up 14% of Iceland. Lagoons, waterfalls, glaciers and even volcanoes contribute to the impressive natural scenery of the park. The desolate beauty of this region has attracted multiple film crews to shoot here; it has recently been used as a Game of Thrones filming location. *How to visit on a superyacht: *The striking views and geological wonders make this park a necessary trip for anyone sailing the Nordic waters. Although it is far away from the port in Reykjavik, tours, which operate from the capital, make getting to the national park easily enough. In recent years, superyachts such as 126 metre Octopus and 119 metre Motor Yacht A have both been spotted in Reykjavik. As well as the fast cars, intense action scenes and beautiful women, the James Bond movies are also famous for being filmed in some of the world’s most glamorous locations. From white sand beaches to dramatic cityscapes, the James Bond series has featured some iconic scenery. Here we reveal ten iconic destinations to visit by superyacht. In a pivotal scene of Die Another Day, Bond, played by Pierce Brosnan, speeds his Aston Martin over a glacial terrain in a thrilling car chase. The stunning Vatnajökull National Park in Iceland was used as a backdrop for these arctic racing scenes as well as hosting the structure of Graves’ Ice Palace, which melts and collapses as Bond escapes the icy region. The Vatnajökull National Park is considered the largest in Europe, stretching in its’ entirety over a distance of 13,600km – alone it makes up 14% of Iceland. Lagoons, waterfalls, glaciers and even volcanoes contribute to the impressive natural scenery of the park. The desolate beauty of this region has attracted multiple film crews to shoot here; it has recently been used as a Game of Thrones filming location. *How to visit on a superyacht: *The striking views and geological wonders make this park a necessary trip for anyone sailing the Nordic waters. Although it is far away from the port in Reykjavik, tours, which operate from the capital, make getting to the national park easily enough. 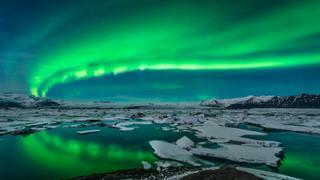 In recent years, superyachts such as 126 metre Octopus and 119 metre Motor Yacht A have both been spotted in Reykjavik. Bond (Roger Moore) fought the metal-toothed villain known as Jaws in, on and around the Sugarloaf Mountain cable cars in Moonraker, and slid down the cable with Bond girl Lois Chiles clinging on. The trams travel over Guanabara Bay, travelling initially from Praia Vermelha (Red Beach) to Morro da Urca (Urca Hill) at a dizzying 220 metres. The second line takes you up to the peak of Pão de Açúcar (Sugarloaf Mountain), which rises 296 metres skywards from the harbour. How to visit by superyacht: Those on a private boat or those who wish to charter a superyacht in Brazil are advised to anchor in Guanabara Bay. The journey up to Sugarloaf Mountain is well worth the trip, but be sure to leave time for a meal at Bar Urca, a well-known restaurant that specialises in Portuguese and Brazilian cuisine. It's a stone's throw away from the Forte São João, so culture vultures and history buffs can really make the most of their time visiting Rio de Janeiro on a superyacht. Bond (Roger Moore) fought the metal-toothed villain known as Jaws in, on and around the Sugarloaf Mountain cable cars in Moonraker, and slid down the cable with Bond girl Lois Chiles clinging on. 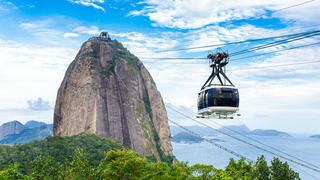 The trams travel over Guanabara Bay, travelling initially from Praia Vermelha (Red Beach) to Morro da Urca (Urca Hill) at a dizzying 220 metres. The second line takes you up to the peak of Pão de Açúcar (Sugarloaf Mountain), which rises 296 metres skywards from the harbour. How to visit by superyacht: Those on a private boat or those who wish to charter a superyacht in Brazil are advised to anchor in Guanabara Bay. The journey up to Sugarloaf Mountain is well worth the trip, but be sure to leave time for a meal at Bar Urca, a well-known restaurant that specialises in Portuguese and Brazilian cuisine. It's a stone's throw away from the Forte São João, so culture vultures and history buffs can really make the most of their time visiting Rio de Janeiro on a superyacht. The island of Corfu was used for several scenes for the 1981 epic For Your Eyes Only — featuring Roger Moore. Located 40 metres above the sea, Villa Sylva near Corfu Town was used as the location for the "Spanish villa". While the famous car chase scene, featuring Bond and love interest Melina in a yellow Citroen 2CV, were filmed in the narrow roads surrounding Agios Georgios in the north of the island. How to visit by superyacht: Although only small, the island is well worth a visit by superyacht and you could tie it in as part of a week sailing from Athens to Corfu. As well as visiting the Bond locations you can either head to Corfu Yacht Club or visit some of the Mediterranean’s best rustic restaurants on the lively island. The island of Corfu was used for several scenes for the 1981 epic For Your Eyes Only — featuring Roger Moore. Located 40 metres above the sea, Villa Sylva near Corfu Town was used as the location for the "Spanish villa". While the famous car chase scene, featuring Bond and love interest Melina in a yellow Citroen 2CV, were filmed in the narrow roads surrounding Agios Georgios in the north of the island. How to visit by superyacht: Although only small, the island is well worth a visit by superyacht and you could tie it in as part of a week sailing from Athens to Corfu. As well as visiting the Bond locations you can either head to Corfu Yacht Club or visit some of the Mediterranean’s best rustic restaurants on the lively island. James Bond flies over Phang Nga Bay, Thailand on his way to Scaramanga’s secret lair in The Man with the Golden Gun. Scaramanga shows him his giant solar panel, which is hidden inside rocks, and then destroys Bond’s plane that he has somewhat foolishly left on the beach. How to visit on a superyacht: Thailand is now granting foreign-flagged superyacht charter licenses meaning that more yachts are likely to be spotted in the region. Royal Phuket Marina in Thailand has announced it will invest £95 million over the next five years and is a great destination to start your trip. Anchor off the island of Koh Roi after your visit to enjoy some peace and quiet. James Bond flies over Phang Nga Bay, Thailand on his way to Scaramanga’s secret lair in The Man with the Golden Gun. Scaramanga shows him his giant solar panel, which is hidden inside rocks, and then destroys Bond’s plane that he has somewhat foolishly left on the beach. How to visit on a superyacht:Thailand is now granting foreign-flagged superyacht charter licenses meaning that more yachts are likely to be spotted in the region. Royal Phuket Marina in Thailand has announced it will invest £95 million over the next five years and is a great destination to start your trip. 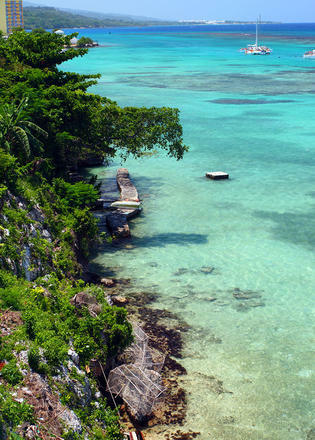 Anchor off the island of Koh Roi after your visit to enjoy some peace and quiet. Some of the final scenes from the most recent James Bond film Spectre were filmed in London in May 2015. Fans of James Bond managed to catch glimpses of a high-speed boat chase through Westminster, while a helicopter hovered over the MI6 spy headquarters in Vauxhall. Daniel Craig was thought to have taken part in some of the scenes as well as a stunt double. How to visit on a superyacht: It is not uncommon for superyachts to venture up the River Thames and 73 metre superyacht Grace E is currently moored in London. Earlier this year it was announced that London’s St Katharine Docks was set to undergo a redesign and refurbishment to attract more yachts. Some of the final scenes from the most recent James Bond film Spectre were filmed in London in May 2015. 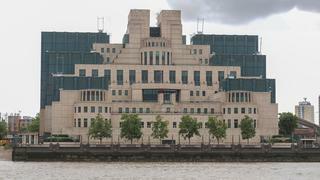 Fans of James Bond managed to catch glimpses of a high-speed boat chase through Westminster, while a helicopter hovered over the MI6 spy headquarters in Vauxhall. Daniel Craig was thought to have taken part in some of the scenes as well as a stunt double. How to visit on a superyacht: It is not uncommon for superyachts to venture up the River Thames and 73 metre superyacht Grace E is currently moored in London. Earlier this year it was announced that London’s St Katharine Docks was set to undergo a redesign and refurbishment to attract more yachts. This lovely beach in Jamaica, considered to be one of the best beaches in the Caribbean, is where a bikini-clad Honey Ryder (Ursula Andress) famously emerged from the water, conch shell in hand. Ocho Rios is stunning thanks to its natural waterfalls, rivers and beaches. For diving fanatics it is also has a man made sunken ship which is one of the best shipwreck dives in the world. How to visit on a superyacht: There are marinas dotted round the Jamaica but to make the most of this island find yourself a secluded anchorage to enjoy its natural beauty and picturesque sunsets. This lovely beach in Jamaica, considered to be one of the best beaches in the Caribbean, is where a bikini-clad Honey Ryder (Ursula Andress) famously emerged from the water, conch shell in hand. Ocho Rios is stunning thanks to its natural waterfalls, rivers and beaches. For diving fanatics it is also has a man made sunken ship which is one of the best shipwreck dives in the world. How to visit on a superyacht: There are marinas dotted round the Jamaica but to make the most of this island find yourself a secluded anchorage to enjoy its natural beauty and picturesque sunsets. 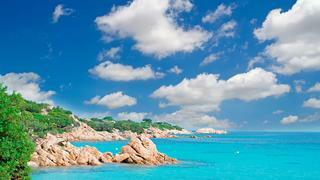 Costa Smeralda was used for multiple scenes in the Spy Who Loved Me. A lot of the filming took place at the fashionable resort of Cala di Volpe. However, the film's famous car chase with the sidecar took place on the opposite side of the island along the road to Capo Caccia — one of the best coastal roads to drive. How to visit on a superyacht: At the heart of this location is Porto Cervo, which is one of the most exclusive marinas and a top Mediterranean party destination. If you venture a little further south is a there is an anchorage with beautiful beaches and the Cala di Volpe is at its northern end. However, this area can be crowded in high summer. Costa Smeralda was used for multiple scenes in the Spy Who Loved Me. A lot of the filming took place at the fashionable resort of Cala di Volpe. However, the film's famous car chase with the sidecar took place on the opposite side of the island along the road to Capo Caccia — one of the best coastal roads to drive. How to visit on a superyacht: At the heart of this location is Porto Cervo, which is one of the most exclusive marinas and a top Mediterranean party destination. If you venture a little further south is a there is an anchorage with beautiful beaches and the Cala di Volpe is at its northern end. However, this area can be crowded in high summer. James Bond is no stranger to Istanbul having visited the city in From Russia With Love, The World is Not Enough and most recently Skyfall. 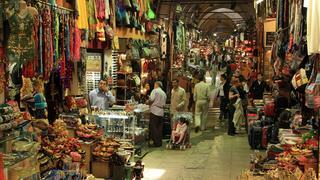 The opening sequence of Skyfall is filmed through the crowded streets and the Grand Bazaar. Some of the filming for other scenes in the film took place in Adana and Fethiye. How to visit on a superyacht: Kalamis and Fenerbahçe marinas are situated side-by-side, five miles east of the city centre. They make a great base from which to explore the city and offer shops, restaurants and a swimming pool. Istanbul is a great starting point for a private cruise or luxury yacht charter in Turkey. James Bond is no stranger to Istanbul having visited the city in From Russia With Love, The World is Not Enough and most recently Skyfall. The opening sequence of Skyfall is filmed through the crowded streets and the Grand Bazaar. Some of the filming for other scenes in the film took place in Adana and Fethiye. How to visit on a superyacht: Kalamis and Fenerbahçe marinas are situated side-by-side, five miles east of the city centre. They make a great base from which to explore the city and offer shops, restaurants and a swimming pool. Istanbul is a great starting point for a private cruise or luxury yacht charter in Turkey. Monaco is one of Bond’s favourite playgrounds and was featured in GoldenEye, Never Say Never Again and Casino Royale. In GoldenEye Bond goes to the Monte Carlo Casino and meets Xenia for a game of Baccarat in the salon privée. Most of this scene was shot in a studio but the part where James Bond is walking through the casino was shot on location. How to visit on a superyacht: Port Hercule is the deep-water port in Monaco and one of the most sought after superyacht locations. It has 30 berths for yachts of 25 to 30 metres, and 20 berths for yachts 30 metres over. Glamorous Monaco is home to some of the world's best restaurants and has a selection of beautiful hotels if you fancy a night on dry land. 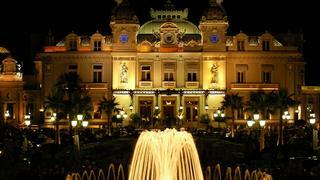 Monaco is one of Bond’s favourite playgrounds and was featured in GoldenEye, Never Say Never Again and Casino Royale. In GoldenEye Bond goes to the Monte Carlo Casino and meets Xenia for a game of Baccarat in the salon privée. Most of this scene was shot in a studio but the part where James Bond is walking through the casino was shot on location. How to visit on a superyacht: Port Hercule is the deep-water port in Monaco and one of the most sought after superyacht locations. It has 30 berths for yachts of 25 to 30 metres, and 20 berths for yachts 30 metres over. Glamorous Monaco is home to some of the world's best restaurants and has a selection of beautiful hotels if you fancy a night on dry land. Thunderball is famous for its underwater brawls including one where Bond fights with villain Largo’s henchmen in a series of submerged caves. This scene was a filmed at a cave near Staniel Cay, in the Exuma island chain of The Bahamas; the cavern was renamed Thunderball Grotto after the film. Although the film location initially looks unimpressive from the outside, the area is similar to a Swiss cheese as it is a hollow island with holes going through it. Once you swim through you are greeted by numerous large chambers with fantastic fish. 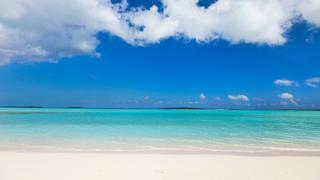 How to visit on a superyacht: The nearby Staniel Cay Yacht Club can accommodate yachts of up to 56 metres and has a popular restaurant and bar. Afterwards you can visit Big Major's Spot where you can swim with the island’s famous pigs — definitely something to ticked off your Caribbean bucket list. Thunderball is famous for its underwater brawls including one where Bond fights with villain Largo’s henchmen in a series of submerged caves. This scene was a filmed at a cave near Staniel Cay, in the Exuma island chain of The Bahamas; the cavern was renamed Thunderball Grotto after the film. Although the film location initially looks unimpressive from the outside, the area is similar to a Swiss cheese as it is a hollow island with holes going through it. Once you swim through you are greeted by numerous large chambers with fantastic fish. How to visit on a superyacht: The nearby Staniel Cay Yacht Club can accommodate yachts of up to 56 metres and has a popular restaurant and bar. Afterwards you can visit Big Major's Spot where you can swim with the island’s famous pigs — definitely something to ticked off your Caribbean bucket list. Miami Beach and the Fontainebleau Hotel are featured in the opening scenes of Goldfinger. While at the hotel Bond receives a massage, gets a heads-up about Auric Goldfinger and the ill-fated Jill Masterson gets her gold paint job from Oddjob. How to visit on a superyacht: Indian Creek Marina is the closest to the hotel and can host yachts up to 75 metres. Alternatively Island Gardens Deep Harbour Marina officially opened earlier this year and can berth up to 50 superyachts. 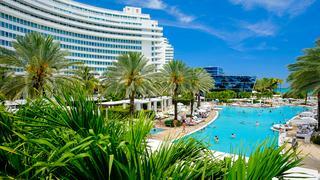 Miami Beach and the Fontainebleau Hotel are featured in the opening scenes of Goldfinger. While at the hotel Bond receives a massage, gets a heads-up about Auric Goldfinger and the ill-fated Jill Masterson gets her gold paint job from Oddjob. How to visit on a superyacht: Indian Creek Marina is the closest to the hotel and can host yachts up to 75 metres. Alternatively Island Gardens Deep Harbour Marina officially opened earlier this year and can berth up to 50 superyachts. In the 2006 film Casino Royale, Bond moors his yacht at Hotel Cipriani’s private marina. The cast and crew stayed at the hotel during the filming and Daniel Craig reportedly turned down a martini at the hotel bar opting for a Bellini instead. How to visit on a superyacht: A trip to Venice is recommended as part of a trip between Rimini to Trieste. Venice Yacht Pier is the only place for large yachts to berth right in the heart of the city; located close to St Mark’s Square and only 10km from the airport. In the 2006 film Casino Royale, Bond moors his yacht at Hotel Cipriani’s private marina. The cast and crew stayed at the hotel during the filming and Daniel Craig reportedly turned down a martini at the hotel bar opting for a Bellini instead. How to visit on a superyacht: A trip to Venice is recommended as part of a trip between Rimini to Trieste. Venice Yacht Pier is the only place for large yachts to berth right in the heart of the city; located close to St Mark’s Square and only 10km from the airport.